I have never used a Public Insurance Adjuster before. What are the benefits of using a private insurance adjuster instead of the insurance company adjuster? Clients often receive larger insurance settlements, over using the insurance company. Clients report far less hassle through using a public adjuster. Unless you have worked in the insurance industry, it is very difficult to understand the legal documents, insurance loop-holes and other insurance tactics that stand in your way of a complete settlement. Adjuster to work for you, they do the work for you! Clients report a smoother settlement experience with less stress, by using a public adjuster. Because the public adjuster works for you, they handle all the paperwork and correspondence for you. Clients report that public adjusters spend more time estimating your damages. Public adjusters are dedicated to investigating your property damage insurance claim and documenting it, so that you can be paid for all of the damages to your home or business. If a disaster occurs, our clients confirm, that they would call us again! This speaks volumes about our services, and about Palm Beach Public Adjuster. We work for you, not the insurance company! What kind of results can people expect by using a public adjuster? How would a typical insurance claim settlement be different by using a public adjuster? Should I call the insurance company or the insurance agent before I hire a public adjuster? No, insurance agents do not get paid to handle claims. We advise our clients to call us first so that we can handle things appropriately for you. Palm Beach Insurance Adjusters will help you decide if the claims are covered and if it’s worth reporting this claim to your insurance company. Even if you are only asking them a question, insurance companies keep records of your calls and will often count a call as a claim. This may raise your rates even though you never really meant to make an actual claim! I’m not happy with my insurance settlement. What can I do? You have up to five years to reopen your property damage insurance claim and three years if it is a sinkhole claim. Call Advocate Claim Public Insurance Adjusters to discuss re-opening or supplementing your insurance claim for additional damages. NOTE: Your claim can be reopened, supplemented, or reopened for additional damages, if your damages are properly documented. Call Advocate Claims Public Adjusters to reopen an insurance claim. Why would using a public adjuster be any different than calling my insurance company? By using a public adjuster, you have someone who is working for YOU, 100%. We do not work for your insurance company, nor do we have to "protect their bottom-line". We are hired by you, to protect you and your investment, and we work for you. Insurance adjusters must protect their employer first (the insurance company). A public adjuster will also want to protect and serve their employer first: When you hire Advocate Claims Public Adjusters a Palm Beach Insurance Adjuster, our employer is you! Yes, an insurance company can basically do as they please. They can raise your premium or drop you after a claim. Insurance companies can drop you simply because they don’t want to insure properties in your neighborhood. The insurance company makes the rules and decides if you are a profitable customer to them. You bought insurance and paid your monthly premium for the time when you have an insurable claim! Call Advocate Claims Public Adjusters, and we can tell if your insurance claim is worth making. No. Insurance companies may offer you a “preferred contractor program” to provide emergency service or repairs, but usually insurance companies will NOT warranty or guarantee their work. If you decide you want to use their contractor, ask the insurance company to put their warranty or guarantee in writing, not their contractor. Ask their contractor for references in the same way you would hire your own independent contractor. Remember, these contractors get their work assignments from the insurance company so, ask yourself this: Who do they really work for? My contractor said he can negotiate my claim. Should I allow him to do this? No. The only people authorized in the State of Florida to negotiate and settle insurance claims are: the policyholder, a public adjuster (such as Advocate claims Public Adjusters) or an attorney. My roof is leaking. Is my roof repair covered? Should I report this to my insurance company? No, your roof is not covered. Unless you had physical damage to your roof from wind, hail, trees, etc. Roof repairs are considered regular maintenance. The insurance policy only covers the interior damages that occur subsequently to your roof damage. Call us to see if such a claim is worth reporting. Should I cash my check, even if I don’t like the claim settlement? 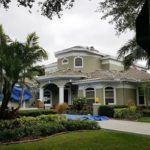 Yes, it’s ok to cash your check on property damage insurance claims in Florida. Doing so does not prevent you from asking for additional money. However, doing the repairs before your claim is fully settled, may work against you. Written language in your insurance policy and mortgage loan documents require that the insurance company notify your mortgage company that you had a loss. This is done by adding the mortgage companies name on the insurance settlement check .Your mortgage company will have to endorse your check in order for you to cash it. You will need to communicate with your mortgage company to find out their particular insurance claim check handling process. There is no requirement in your insurance policy stating that you have to get three estimates. Advocate Claims Public Adjusters will put the estimate of the damages together for you and save you the trouble of getting three estimates. 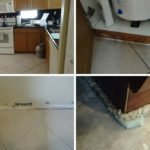 Insurance company companies require the damage repair estimate written with specific details, usually on a per-line itemized basis, and most contractor estimates do not comply with this format. If your three contractor estimates are not properly detailed, the insurance company will ignore them anyway. Furthermore, most contractors do not have the software, knowledge, or time to write estimates for free. The insurance company adjuster came and took pictures, and told me it’s fine to throw everything away, but the adjuster left things out of my estimate. How do I deal with this? Do NOT throw anything away! It is up to YOU to document your loss. Many "storm adjusters" are only here temporarily after a hurricane or similar event, leaving you to prove your damages after they have skipped town. You may have multiple adjusters sent to your house too! As your public adjuster, Advocate Claims Public Adjusters will fully document your loss for you. The insurance company said the loss to my home and business wasn’t covered. Can I still hire a public adjuster like Advocate Claims Public Adjusters? Yes, but a public adjuster will only take on assignments if they feel it should be covered. That is why it's better to meet with a public adjuster at the start of your claim process, before you contact your insurance company. You have an obligation to stop any leaks and prevent any further damage to your property. The insurance company can deny your claim for not stopping the leak in a timely manner. Proper investigation is critical to determine what is causing the damage. Call Advocate Claims Public Adjusters to help you determine what is necessary to do before you report your insurance claim. I want to report my claim and see what they would pay me before I hire a public adjuster. Shouldn’t I do this? A tip to remember: If your claim gets denied, you may not get a second chance! Call Advocate Claims Public Adjuster from the start, to get it done right! I called my insurance agent to discuss my claim. Should I have done this? No, you shouldn’t have called them. Calling them right away is exactly what the insurance company wants, and this is why they pay so much for commercial advertising. Remember, the "captive" insurance agent works for their insurance company, and the "independent" agents work for many insurance companies. All of these agents have a contractual obligation and get paid by the insurance company. Only public adjusters like Advocate Claims Public Adjuster and attorneys are licensed to advocate insurance claims on your behalf. Should I hire a public adjuster like Advocate Claims Public Adjusters or an attorney to handle my claim? The insurance company does not send out attorneys to inspect your property, they send an adjuster. Level the playing field by hiring your own adjuster who speaks the same language. Attorneys go to court to defend the language in your insurance policy. While Public adjusters, adjust insurance claims. Public Adjusters try to keep the claim moving, and will arrive at a much quicker settlement costing you for far less money, than attorneys. Attorneys become necessary only after the insurance company fails to honor your rights under the insurance contract. Remember, once you hire an attorney, the insurance company will bring in their attorneys too. If the courts are involved, you may be looking at years to get your claim settled! What types of insurance claims do you handle? Please read over the list to see the most common types of insurance claims. If yours isn’t listed here, you may still be covered! Call Advocate Claims Public Adjusters 561-962-0065 to discuss your insurance claim. Covering Palm Beach County, including Boca Raton, Delray Beach, West Palm Beach, Wellington, Royal Palm Beach and surrounding areas.